A glowing radiant skin is every woman’s pride possession. But along with the daily care, you need to take some extra care to have a supple, toned and rejuvenating skin.Especially for women above 30s, it is must to have regular facials and if it is electric facial then nothing like it. Cosmetic electrotherapy popularly known as electric facial, is a type of treatment which is done using low electric currents passing through your skin, giving a therapeutic effects to your skin. This therapy will tone your facial muscles and micro-lift your face. 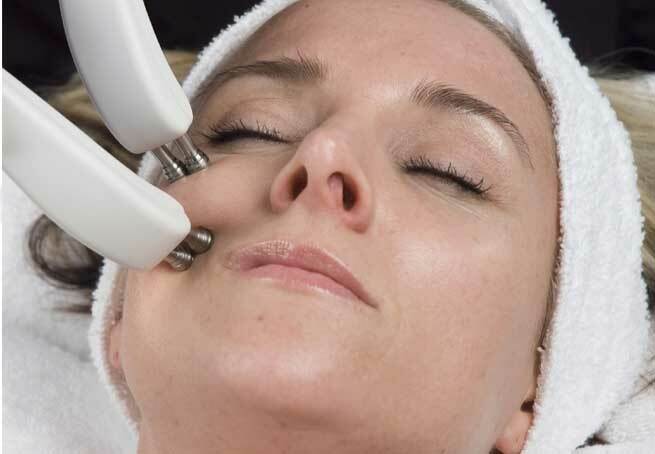 Here is three most popular types of Electrical facials those are practiced in salons and spas. These are – Galvanic, Faradic and Micro current Facials. If you have a dry and dull skin, you may go for this facial treatment as this type of facial helps in increasing moisture retention of your skin. It also helps to tighten pores of your skin and reduce inflammation. It increases the blood flow to your skin and stimulates the facial nerves. This treatment not only just meant for your face but can be done on your body also. But, if you are suffering from any heart ailments or, have pacemakers or braces, then you should not go for this treatment. This treatment is meant for your face and body. It will gently tone up, tightens and revitalizes your sagging facial skin by evenly distributing electric pulses throughout the body cells. It pulses reduce the pore size of your skin, build up the muscles of the face and increase the blood circulation in your skin. Your skin will be smooth and wrinkle-less with this treatment. It is the most popular non-surgical face lift designed to rejuvenate your skin and soften wrinkles. If your skin suffers from sunburn, scarring, acne then you must go for this treatment. Unlike the other two treatments, this therapy has a course. So if you opt for this therapy, you need to have 10-12 treatments for 2-3 weeks long. After this you can visit once in a month for maintaining the result. All three of these treatments are non-invasive, that means no recovery time is needed. According to your needs, you may start with having 2 treatments in a week and continue it, until you get the result. Then you may have one treatment in every three months to keep your muscles in shape and looks younger. It is basically a facial ‘sculpting’ procedure which does not cause any injury to the dermis, unlike laser treatments. You must know the pros and cons of having an electric facial before you opt for one. Don’t go for this facial, if you have any earlier nerve injury on your face or neck, as it may get aggravated with this facial. Tip : Do drink a lot of water before going for the treatment, as effectiveness of your therapy majorly depends upon proper hydration.